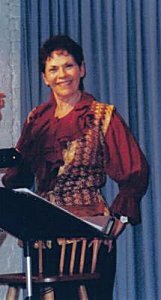 I am Anne Fielding, director of the Aesthetic Realism Theatre Company, New York City. Miss Fielding, I love this! You are one of the greatest educators in this world.